A real beauty for the collector! Meticulously made from a 1947 original made by a famous maker of the day. Double edge high carbon steel 18cm blade with full tang. Wood grip heavily contoured with multiple colour leather wrap. Solid steel pommel and brass finger guard. 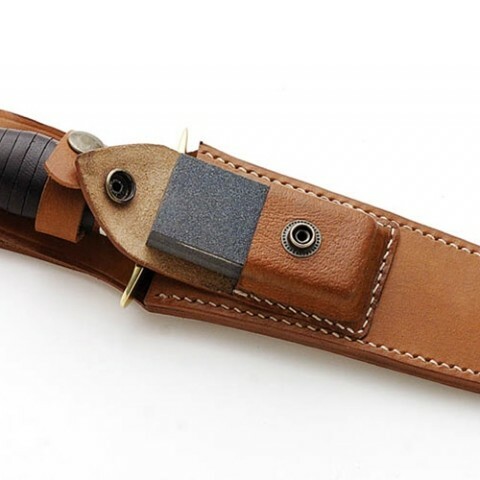 Includes a heavy grade leather belt sheath with sharpening stone.